To truly line up on the start line requires focus, planning, commitment, and preparedness in your Physical, Mental, Recovery, Nutrition,Team and Luck. Physical training is putting your body through incredible stress, and suffering so come race day whatever the course and opponents have to offer, it feels easy in comparison to what you have been doing in training. Maybe not easy… but you are prepared and ready for the challenge. Not every race is won by pure power. It takes a strong, confident, sharp mind to know your opponents, course and winning strategy, to navigate through the peloton like a boss, and conduct your face with a cool calm nose breathing demeanor even though your legs are screaming at you to stop. It means believing in yourself and the work you have done, and knowing you can suffer even harder and won’t die from the pain you are feeling in your legs, and lungs. It means trusting your instinct, and to be patient so when you do strike it is with purpose, because you have played this moment over and over again in your head, arms out stretched over your head because you just won. Recovery is not just a shake, its easy spins to the coffee shop to meet your neglected friends, its visiting that person who spends hours working your muscles like rising dough, often inflicting giggles because thats what you do when you’re in pain. It means guilt-free naps in the middle of the day, sleeping in and sleeping often. It means pretending like you are a vegetable posted up on the couch sipping on your Maxim water bottle. Nutrition – this is a BIG one. Nutrition matters on the bike off the bike, in training and recovery. It takes time and experimentation to learn what works for you. For me I am still learning how to properly fuel on the bike. Off the bike I feel pretty solid but getting myself to eat and drink on the bike, and to do enough of both is a challenge. This year we, the Fearless Femme Team made the switch to Maxim, a European company now in the US which has been the fuel of the Tour de France teams for over 25 years. I had found a nutrition product in the past that had worked for me so I was a bit nervous to make the change, but it was an easy transition that has produced amazing results. The first and most important is simply that I want to use it. The Hypotonic Sports Drink tastes great in all three flavors, and is not too sweet like a lot of other sport drinks, so when I get a bottle feed I’m never disappointed in what I get. I’m satisfied knowing I’m getting a drink with all the essential vitamins, electrolytes and energy that I need so if I fall short on my other nutrition intake needs I know I am getting optimum nutrition from just my bottles. It’s like this product was made for me. All they have to offer from Carb load to gels are effective, so this encourages me to use them. Without a team to race with, and a team of people to support you its hard to be a professional in any sport. I am fortunate to surrounded by an incredible team. Race Team: Fearless Femme p/b Haute Wheels Racing, is a merger of two teams and sponsors with long term vision and goals chartered to advance and advocate youth and community cycling, as part of Pure Energy Velo, a 501c-3 based non-profit organization. Coaching: Kendra Wenzel of Wenzel Coaching has been an integral part of my training and progression on the bike. We have an exciting path ahead of us. Recovery/ Massage: Colleen Mcclenahan is experienced working with athletes. Her technique is slow and deliberate, which encourages the tissue to soften and melt. She has been amazing for recovery and correcting injury. Mental Preparedness: Melinda at GritPerformance fills the gap between hard work and mental strength. Melinda has experienced both the thrill of success and the challenge of adversity as an athlete throughout her life, battling her own addictions to running, skiing, swimming, yoga and recently mountain biking. As a coach and instructor Melinda speaks the language of an athlete while implementing brain based research skills for success. Nutrition: Not only has Maxim Sports Nutrition properly fueled me but the team of Laura Borgelt, PharmD an English Channel swimmer, USA Aqua Bike National Champion and Ironman triathlete, and Brendan Lundy MBA co-founder of many start-ups, both domestically and internationally and athlete, as a former European cyclist and as an international triathlete, have both been a great resource with a plethora of knowledge and experience. Luck: There is no practicing luck, but to be successful in a race you need to have a lot of luck on your side. In my mind that means being a good person on and off the bike and keeping your good karma bucket full. Want to build good karma and build an awesome Nutrition regime? Then go to Maxim Sports Nutrition and get a SPECIAL DISCOUNT of 20% off when you use Discount Code : FearlessFemme Use this code and you will support Fearless Femme p/b Haute Wheels Racing and this may even gain you some luck in your next race. I cannot thank this team enough. New Partnership & Favorite Homemade Recovery Drink. I was laying on the floor this morning, working my IT band on the foam roller. It’s amazing where your mind will go, during this self inflicting pain session. My thoughts wondered to how fortunate I am. I have a strong support system of Gino ❤, friends, family, and friends who are my family. They keep my head on straight, and keep me going, when days are hard. I have a team of professionals who are helping me to rehab my hip, and become a stronger cyclist. in addition, whether you know it or not, all of you readers inspire me to be the best athlete I can be. So, “Thank You”. That foam roller pain session also provided a great segway in to this post. I’m supper excited to announce a new partnership with Body Kinetics of Mill Valley. They will be helping in my recovery, along with Mill Valley Physical Therapy & Sports Rehabilitation to get me back on the bike, stronger then ever, along with my amazing Coach Adnan Kadir of Aeolus Endurance Sport . Body Kinetics Health Club and Spa is a family owned business. 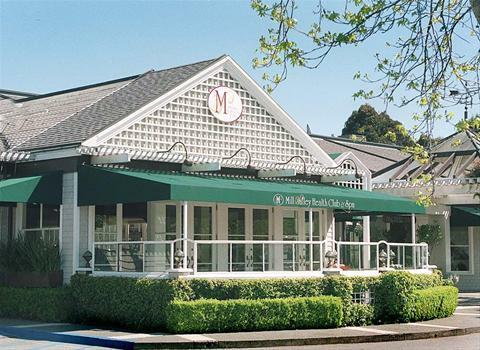 Located at 639 E. Blithdale Ave in Mill Valley, lucky for me right across the street from PT and minutes from my home. What makes Body Kinetics unique, is their personalized programs and comfortable atmosphere. I have gone to a lot of gyms, and I have never been as comfortable, or as stoked to go to one, as I am to Body Kinetics. It dose not smell, it is not creepy, or over packed, its not a meat market, and your not treated like a bar code as you are scanned in. People here remember your name, and they smile at you when you walk through their door. You get a since of ease and comfort as you head back to their safe, clean, locker rooms where you store your things, in a security code locker. No more excuses of “I forgot my pad lock”. On top of exceptional services such as, specialized fitness training programs, cutting edge small group classes, fitness camps, Yoga, spa services, and Pilates Method training, they again separate them selves from others in the fitness industry by maintaining a beautiful facility and providing a friendly caring environment. Their educated, professional staff is able to address the many concerns of a diverse population. I love coming in every day and seeing a range in age, from high school kids to the elderly. I’m also supper excited to be partnering with a company that promotes social involvement, supports community, as well as environmental and health causes. If you would like to come and work out with me, check out the facility, or one of their extensive group exercise classes, Yoga, Pilates Mat, Body Sculpt, Core Conditioning, Zumba and Spin classes, just let me know and ill be happy to have you as my guest. Look for future posts, as I will be announcing rides, clinics, and possible other events I will be leading at Body Kinetics. Thank you all for being patient, I know I posted in my last blog that I would be sharing recipes, and you probably hoped it would come sooner, so here is the first one, it is my favorite homemade recovery drink. Beet Juice. Shared from my favorite cook book that every cyclist should have. 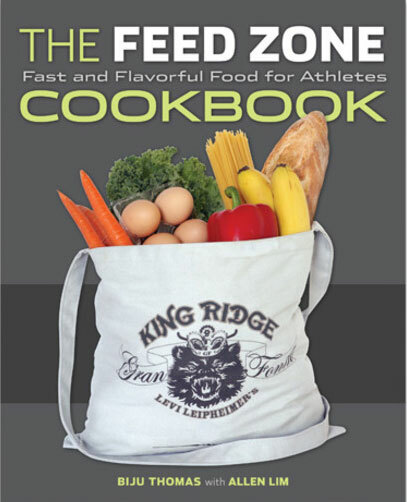 If you do not already have it, I’m happy to introduce you to “The Feed Zone” Fast and Flavorful Food for Athletes Cookbook, by Biju Thomas & Allen Lim. Beets in all their forms are one of the best foods for us. They are loaded with vitamins and minerals and recent research has shown that they can even help improve the efficiency of exercising muscles. 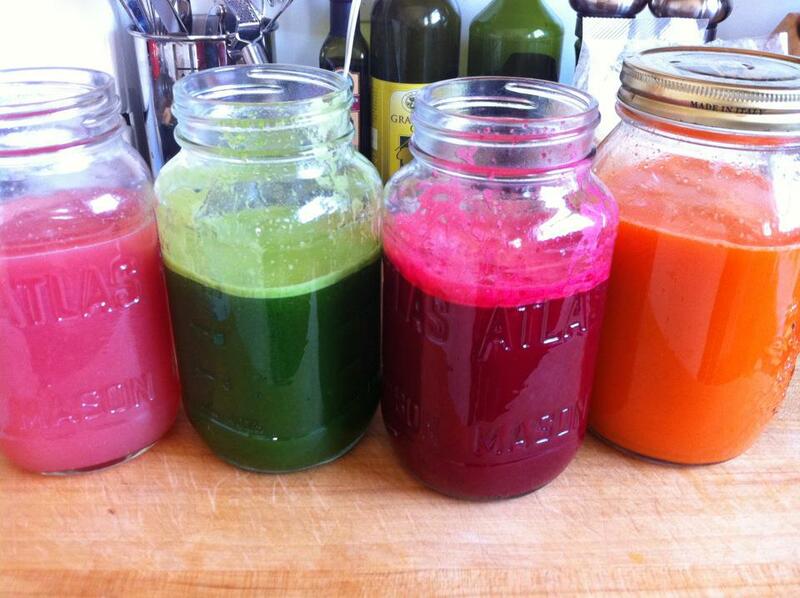 Start by cutting the beets to whatever size works best in your juicer. (I personally find it perfect with out any of the additions). Tip I would recommend. Peeling the beets will reduce the bitterness. Left to Right. Grapefruit Juice, Green Juice (that recipe next time), Beet Juice, and Carrot Orange, that ones simple Half Carrots half Orange. Enjoy!